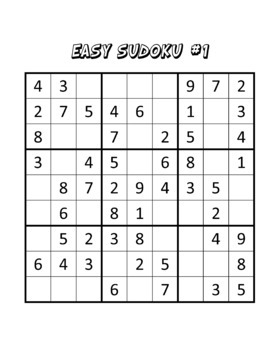 Enjoy a collection of 100 Sudoku Puzzles. Large Print with room for work. 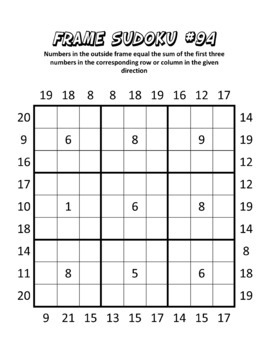 Sharpen your math and logic skills while having some fun with this great collection of sudokus. 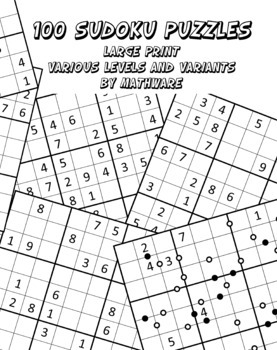 20 Easy, 20 Medium, 20 Hard, 20 Very Hard, 10 Extreme, 10 Variants. 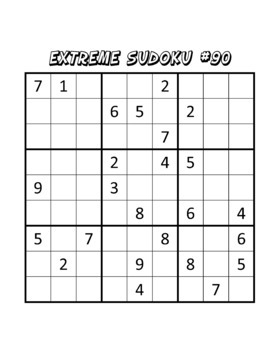 Also includes 5 blank create your own sudoku.